When did Jericho Road Clothing begin, and what sparked the idea? 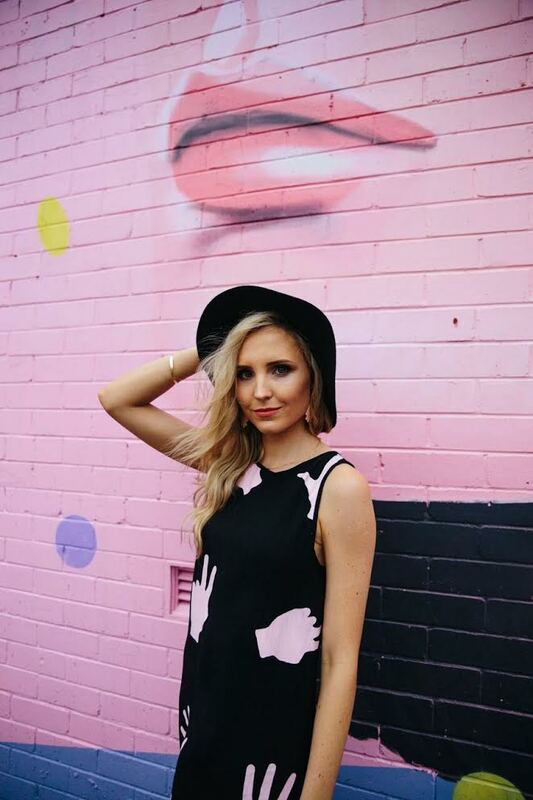 Jericho Road Clothing was launched back in February 2016 by Brisbane sisters Chloe and Kate, although the idea came about many years earlier. Had you both always dreamt of launching your own fashion label? It’s not something we would say we’ve ‘always dreamt of’, however we have both always had a crazy love for fashion. We started discussing the idea a couple of years ago, but were both working full-time and I guess found it hard to set aside time to do it. We love your fun prints and colourful wares, what inspires your designs? Growing up in the rural town of Blackall in Central Queensland has inspired us to design the colourful and bold prints our label is known for, including cockatoos, brolgas and cacti, to name a few. Everything from how the sunset looks to the wildlife makes its way into our designs. Which has been your most popular design so far? 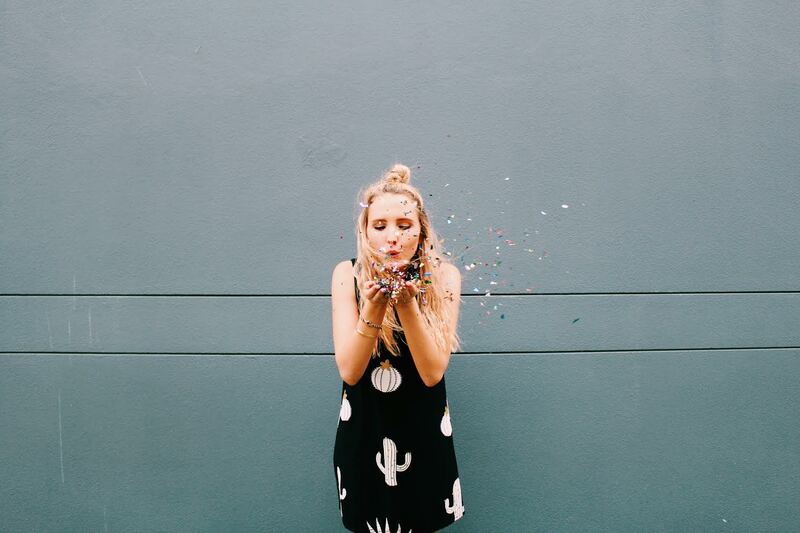 Our original Arizona shift dress design has been our best seller to date [pictured above]. What’s been the funnest part about starting your own business? Honestly, we have had so much fun doing everything! This whole journey has been a stressful hoot. Every single sale that we get makes us do a little happy dance, that’s a lot of happy dancing. We love collaborating with other like-minded small business gals, seeing ladies post photos in our dresses is the best, seeing the designs go from pictures on our computer screen to real-life dresses and working from our local coffee shop. Is it exciting seeing people wearing your pieces? We still get so excited every time this happens. I (Chloe) remember the first time I saw one of our dresses ‘in the wild’. I was so nervous to approach a lady on James St in Brisbane to tell her she was wearing one of my dresses. It’s quite a surreal feeling. Each week, we have friends message us to say, ‘Hey, I just saw a lady at my work wearing one of your dresses,’ and it never gets old. As we are both still working in jobs other than Jericho Road Clothing, it can be really hard to find the time to do everything. One of the trickier things we have found is being able to create enough designs and dresses to satisfy the demand and stay ahead of the seasons. We are definitely getting better at this, but it’s a work in progress. Our recent business trip to Hong Kong has allowed us to plan the rest of the year for JRC and we can’t wait to show you some of our new designs. What would your advice be for readers wanting to get into the fashion game? Honestly, just give it a go. We haven’t followed any business plan or regime but, more so, just rode the wave, followed our hearts and gut instinct and backed ourselves. Use social media to your advantage – it has been our most powerful marketing tool by far. Speak with other small business ladies, even if they are not in the same field as you. We have learnt so much from like-minded business chicks. A special mention to Marayna from Kenzie Collective, she has been a huge support and role model for us. Lean on personal supports; our parents and partners are our biggest fans. What’s coming up next for Jericho Road Clothing? Lots of new designs is our main plan, keep your eyes peeled. Where can our readers find your gorgeous garments? Our website is the easiest place to shop jerichoroadclothing.com.au where you can also find a list of our stockists if you are more of a try-before-you-buy kinda gal. We currently have 10 across Australia and are looking to increase this to other capital cities to make our dresses more accessible for everyone.